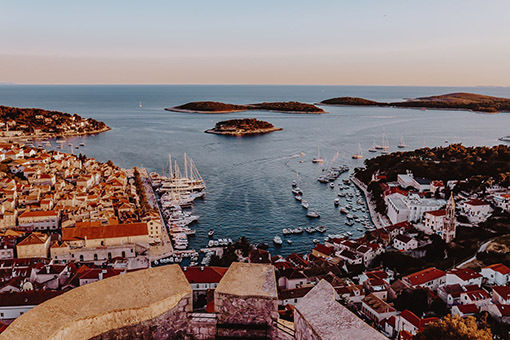 The Sail Trip is a once-in-a-lifetime adventure where you sail the beautiful waters of the Adriatic Sea near Croatia on your very own sailboat. 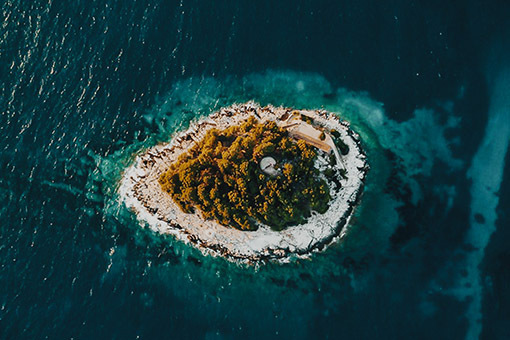 You will sail from island to island, moor in cosy bays and discover unique islands every single day. 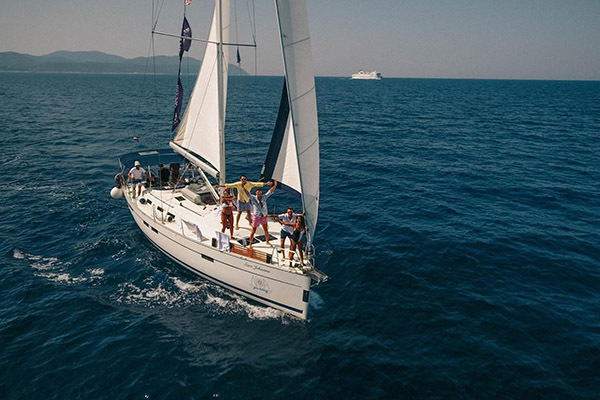 Sail and live 8 days and 7 nights on a modern sailboat with your friends. 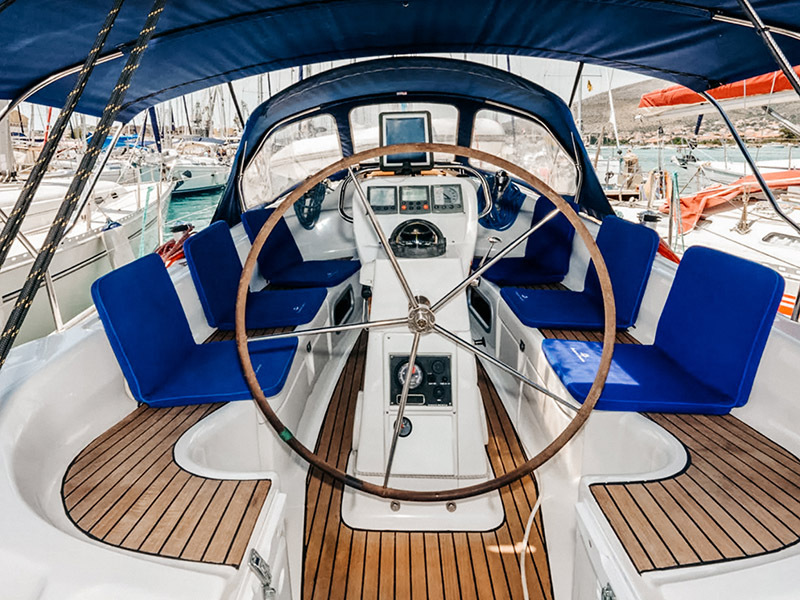 If you have the necessary experience you can steer your sailboat yourself for a week. You will receive a navigation system where the entire route is planned. 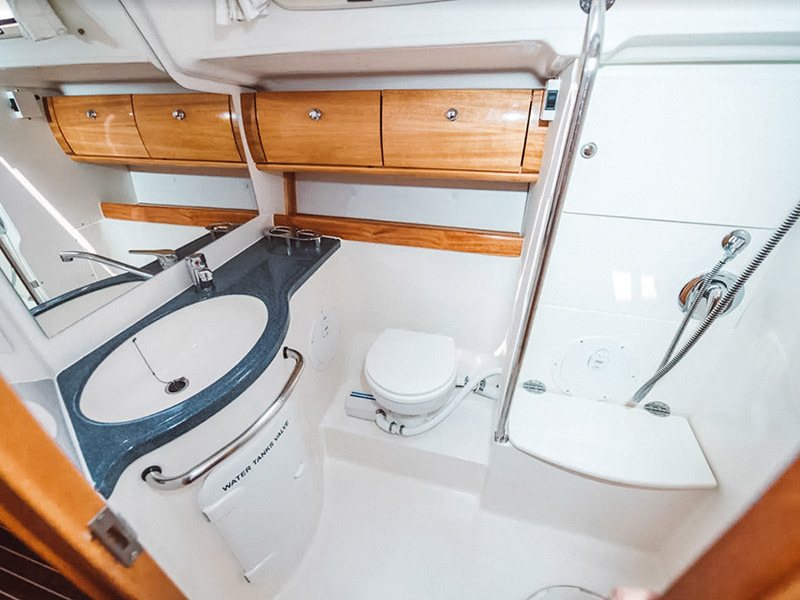 Inexperienced sailors or beginners can take an experienced skipper for a small additional cost that will not only show you the most beautiful spots but also teach you some basic skills of sailing. 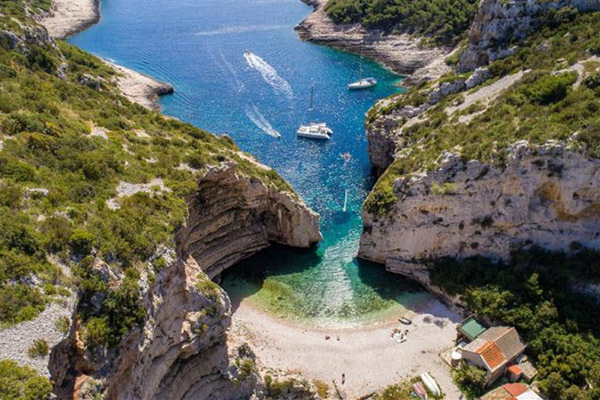 Discover the most breath-taking islands of the Dalmatian coast in 7 steps. 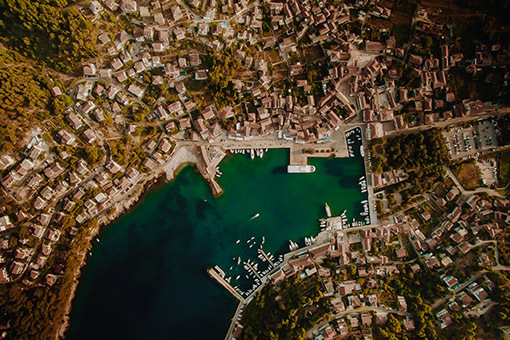 Ranging from wild nature, hidden coves and historical towns to villages full of history, you sail from one discovery to another, just the way you want it. 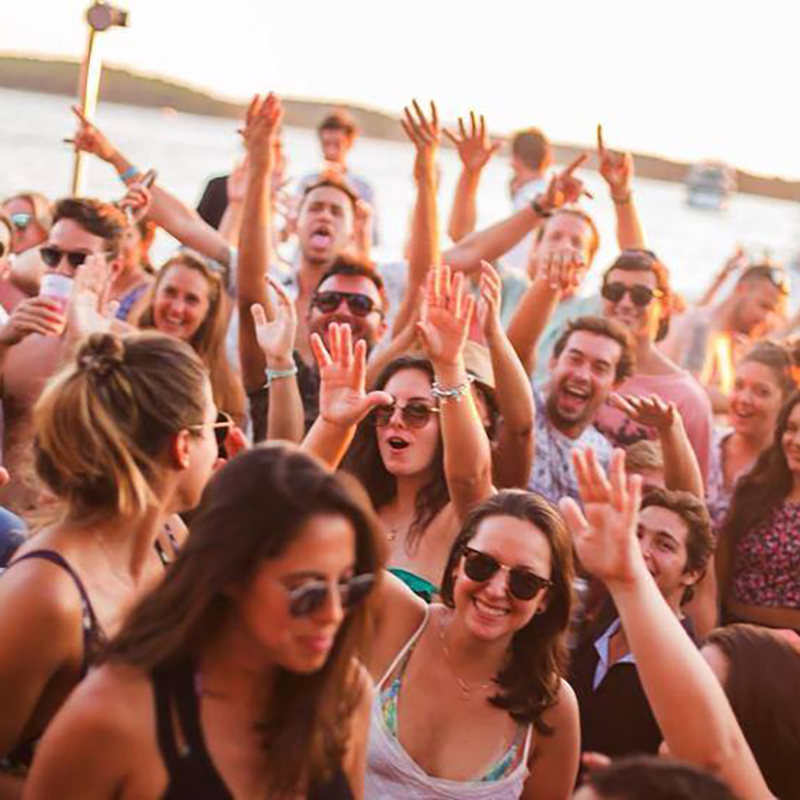 Dalmatia offers you exceptional nature and authenticity, but it is also rich in places to party and enjoy. 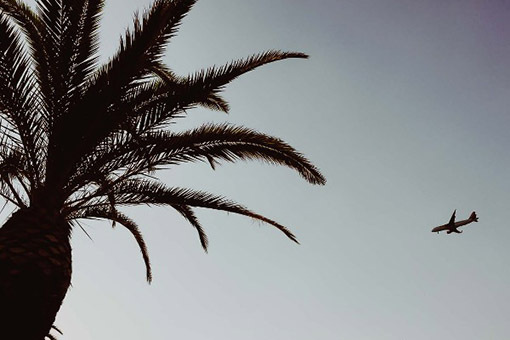 Let yourself be carried away by the music of the lounge and beach clubs at sunset, and dance to the rhythm of the summer on the beach. And if sailing, exploring and driving is not enough, just let loose. 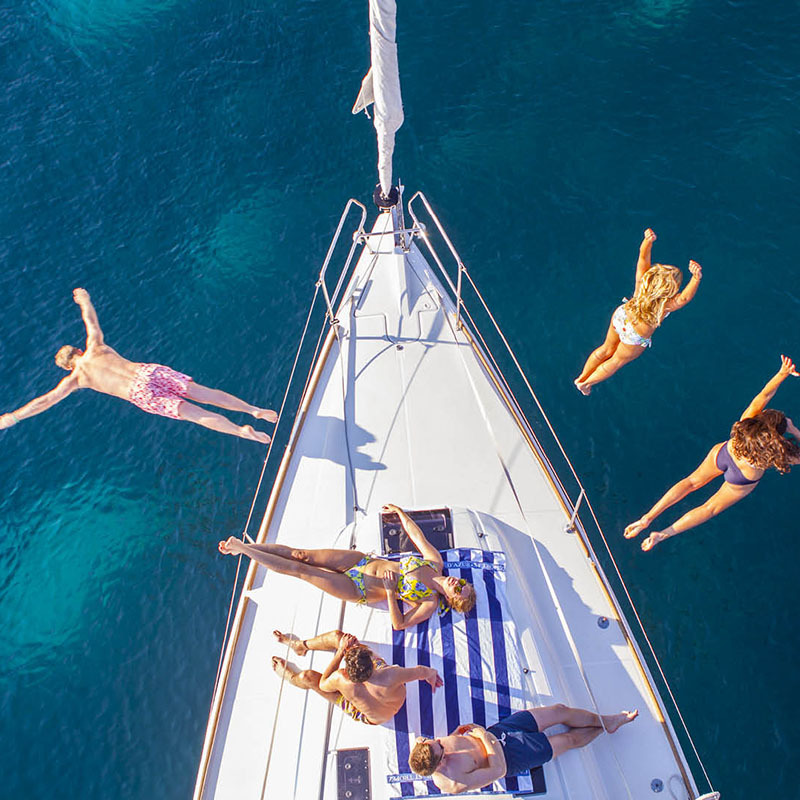 The Sail Trip offers you a unique adventure and the opportunity to feel completely free. Feel the warm sea breeze, take some deep breaths and enjoy. 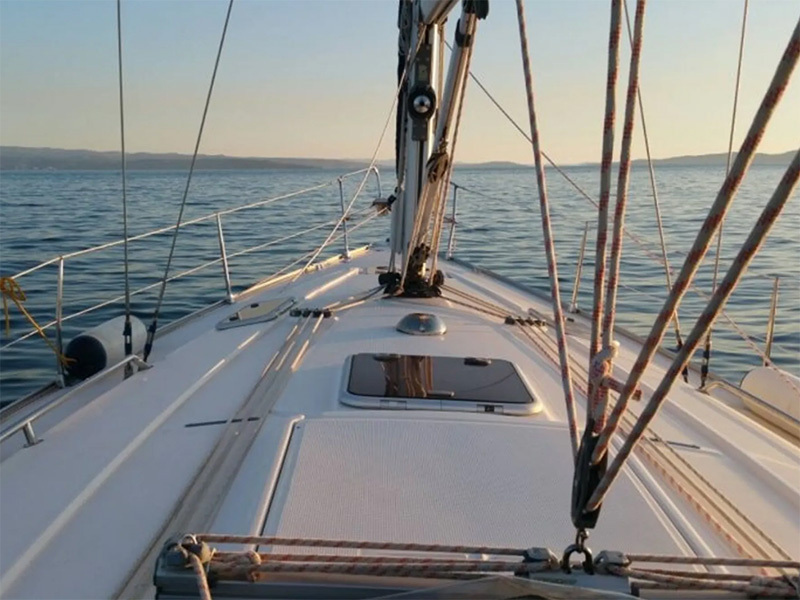 The Sail Trip continues on one of the most beautiful parts of the Croatian peninsula: Dalmatia. 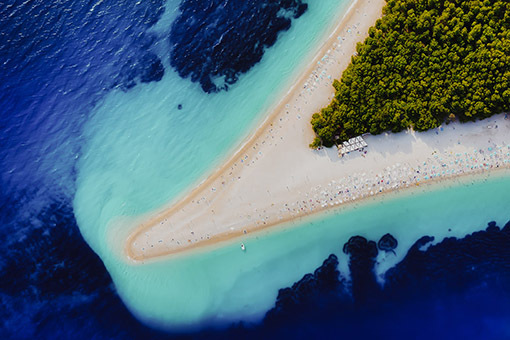 A region known for its hundreds of beautiful islands, pearly white beaches and crystal-clear water. You sail from island to island where you will sometimes discover small hidden bays and get the chance to visit authentic villages. Discover the complete programme below. 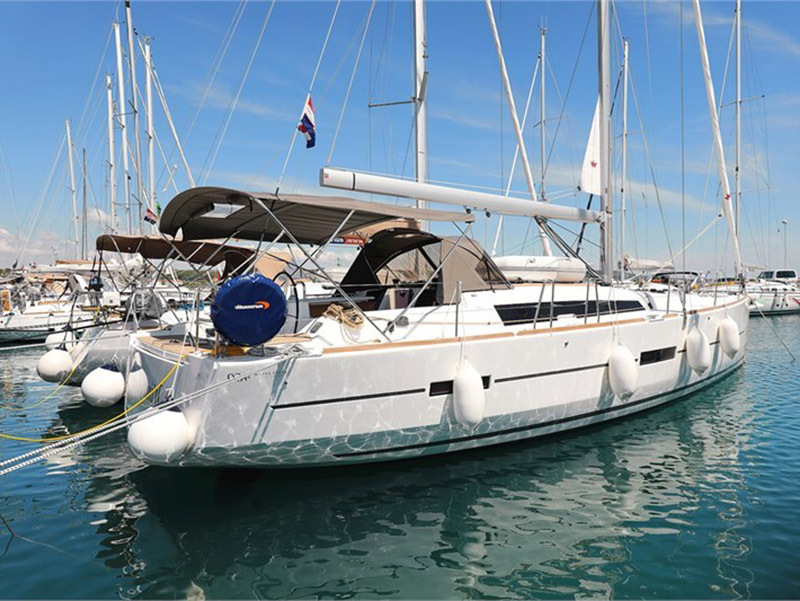 You will be island hopping on one of the last new mono-hull sailing boats with a capacity of 6, 8 or 10 people. 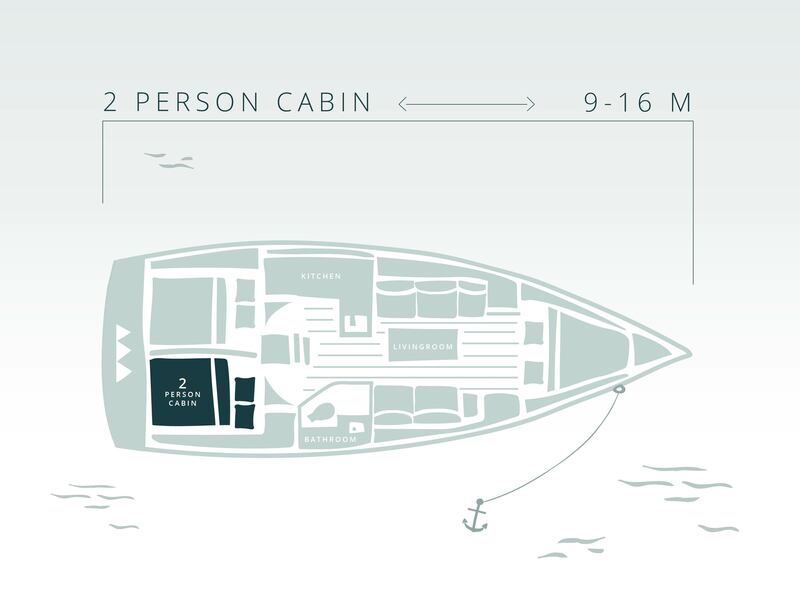 All boats are equipped with 3, 4 or 5 private cabins and a common living space. 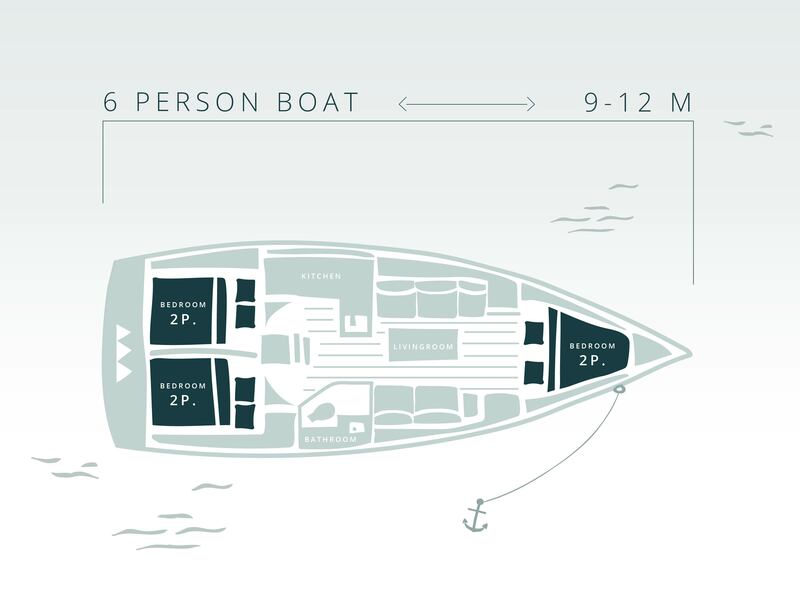 You can rent an entire boat or just a cabin for 2 people. Discover the different types below. 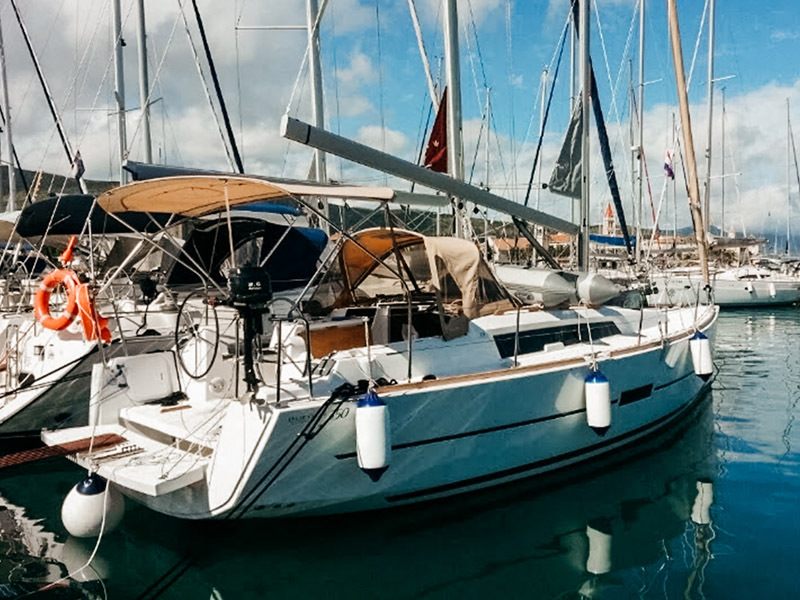 All our boats are younger than 5 years and are fully equipped and checked out for a week at sea. During registration you will see a complete overview of the equipment on board. 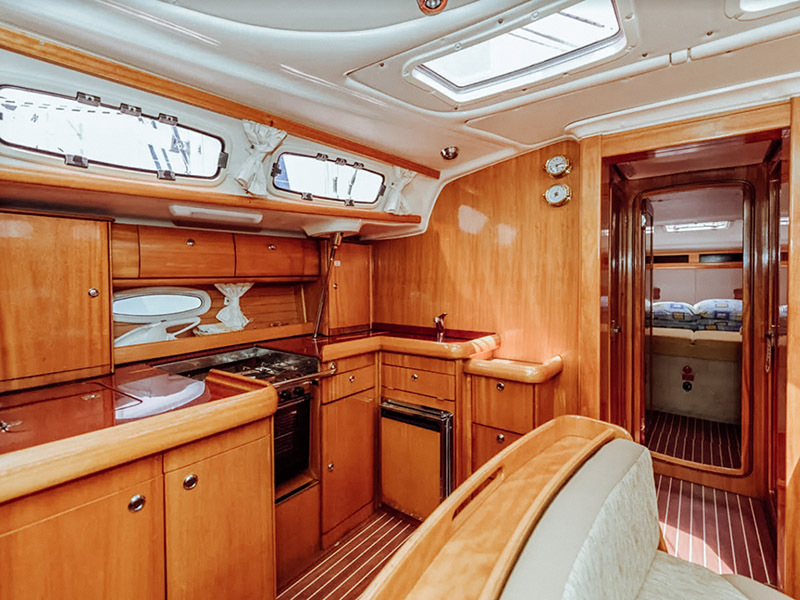 The model of the sailboat can vary, but all our boats have the same level of comfort and the same cab layout. Découvrez l'ensemble de notre flotte et les fiches descriptives de chaque bateau ici. 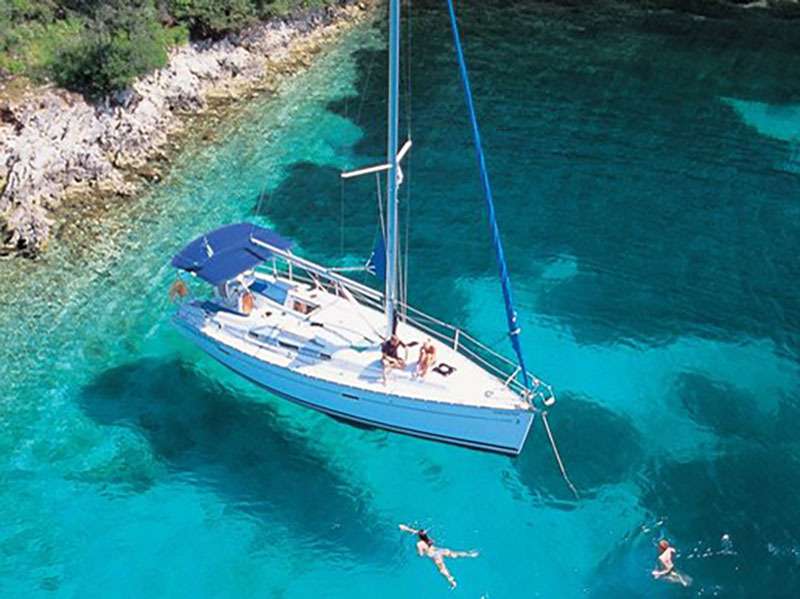 You’ll spend 8 days on a sailing boat at sea and sail to some of the most beautiful islands that Croatia has to offer. 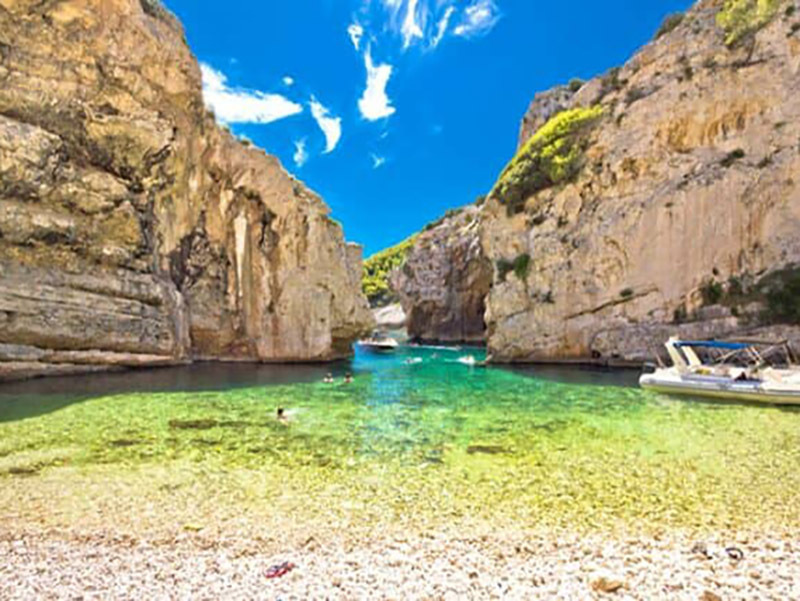 You will have plenty of time to relax on a few well-hidden beaches and explore authentic villages. Below you will find the complete weekly programme. Of course, you are free to make certain adjustments here. On the day of arrival, you will get used to life on the sea and you will board. 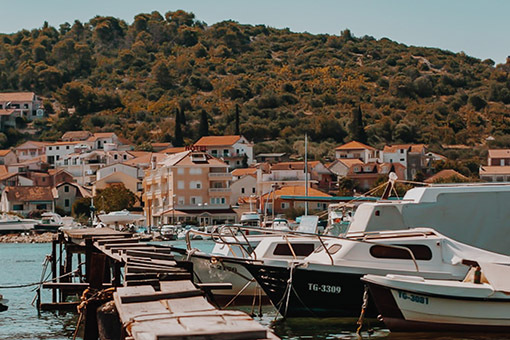 The boat stays moored and you have plenty of time to eat and walk in the busy streets of Trogir. The departure is scheduled the next day after a first night's sleep on the boat. Our favourite The beach of Pantan with pearl white sand at 500 metres from the marina. 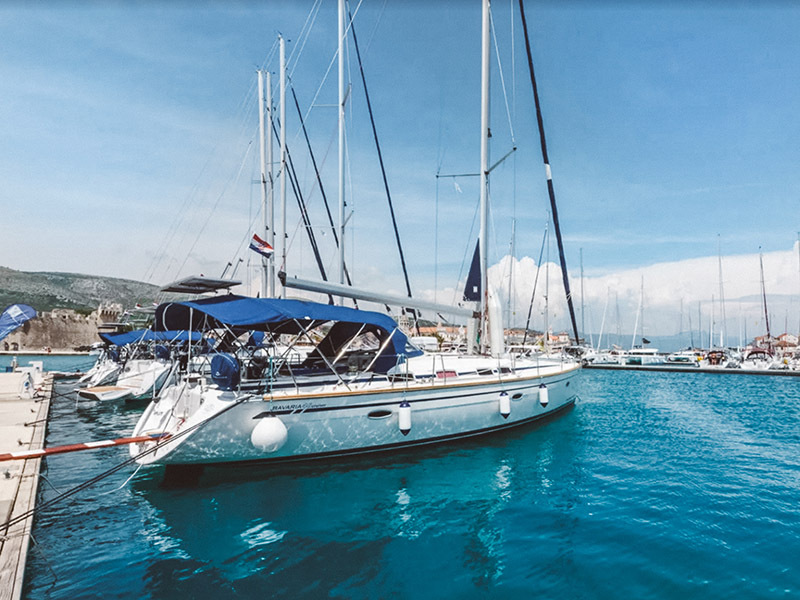 A first day sailing the azure waters of the Adriatic Sea. This first part is the longest part of your sailing week. Destination? 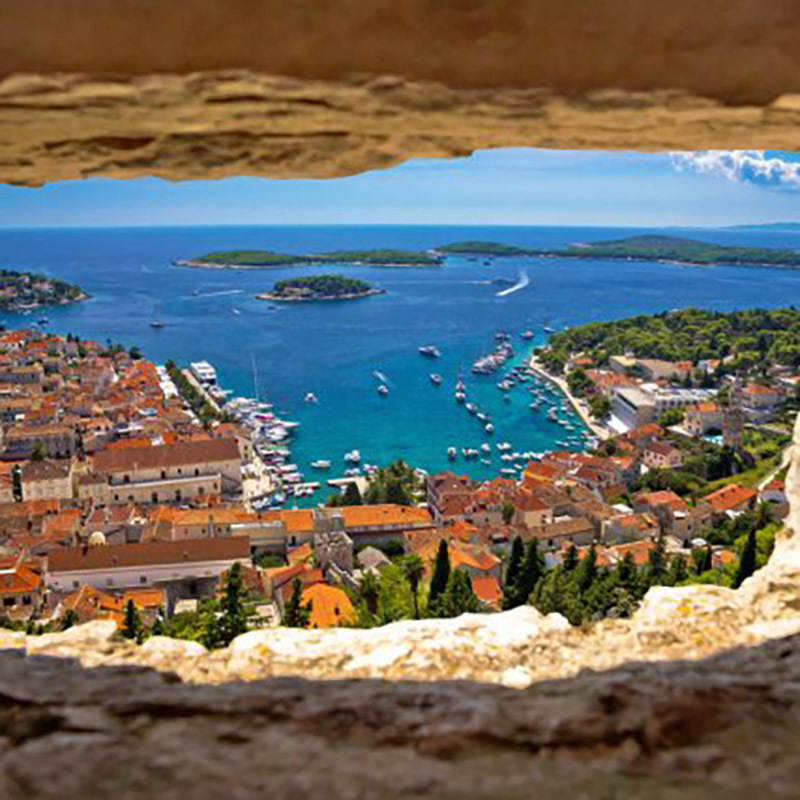 The island of Vis, the best-preserved part of Croatia lies furthest from the coast. 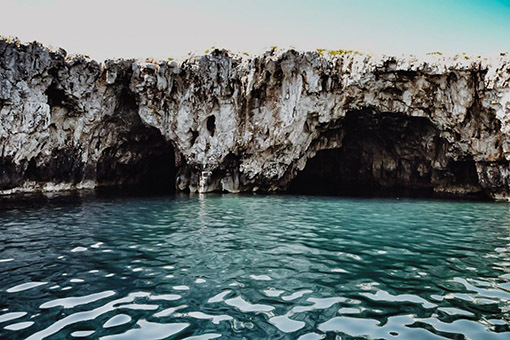 This is the opportunity to visit the most beautiful beach in Europe and take a dip in the blue caves, the sightseeing attraction of the neighbouring island of Vis. 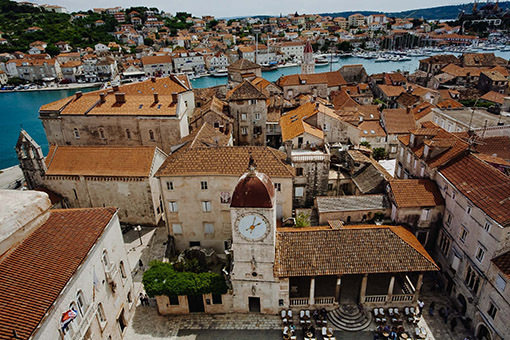 At dusk, once anchored, you get the chance to walk through the streets of Vis. And for those who want to, you can party at Fort George, an open-air nightclub, until 04:00 in the morning. Where to eat, where to go out? 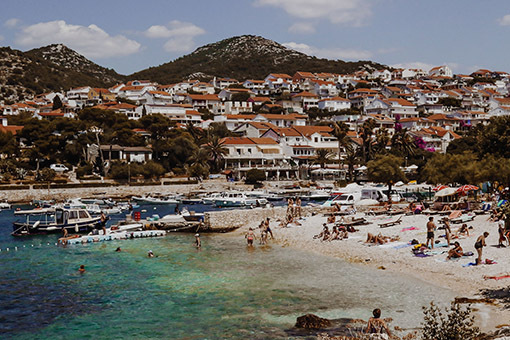 Our favourite Our favourite "For bars, go to Hvar. For fish, come to Vis". You are on the fishing island, let yourself be tempted by a tasty piece of fish or a fresh lobster. 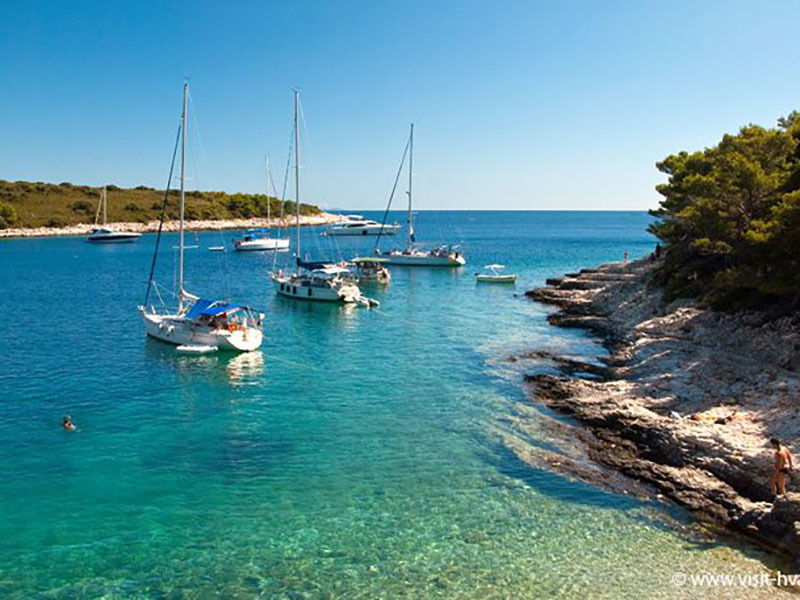 The third day at sea, brings you near Plakeni, a group of 20 small islands with bays and beaches. 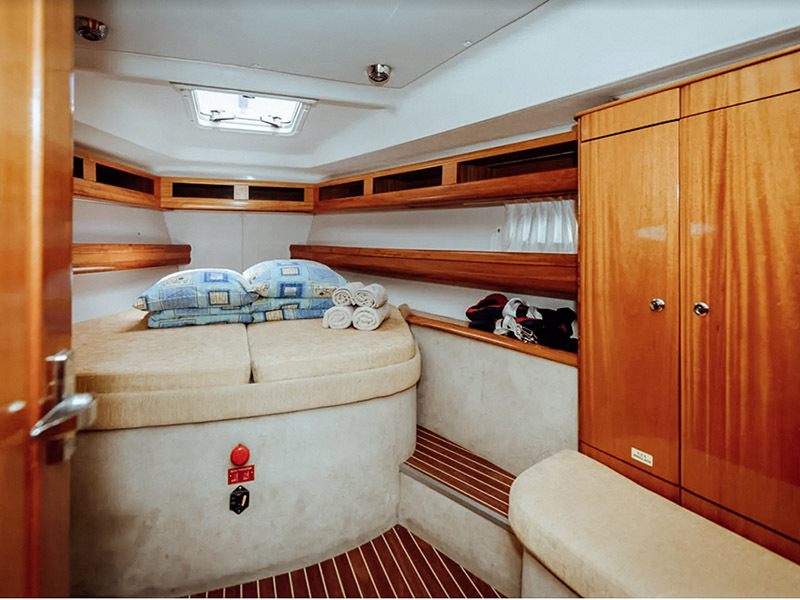 The chance to recharge your batteries without worry and enjoy the pleasures of life on a boat. Maybe it is an opportunity to learn the basics of sailing together with your skipper. 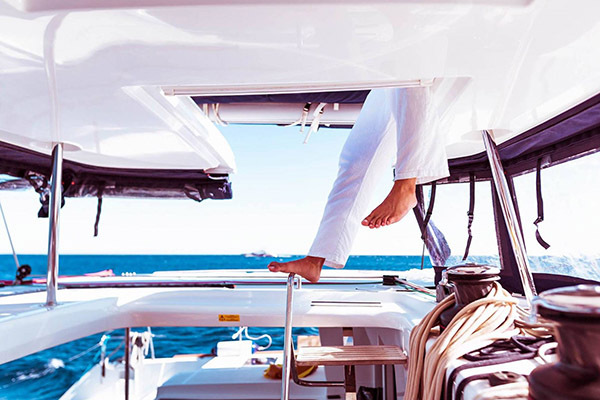 The freedom to stop where and when you want, to dive, swim or just enjoy on the deck of the boat. 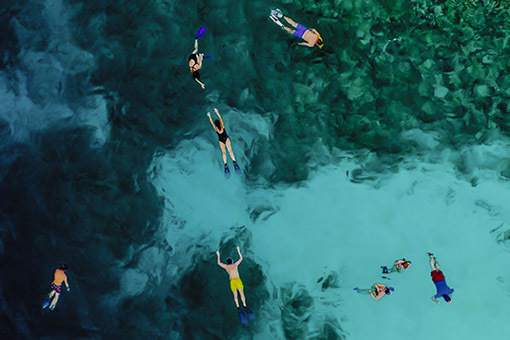 Our favourite Swim in the crystal-clear waters of these islands. 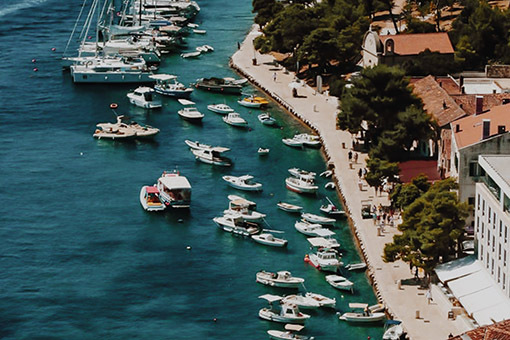 Hvar is known as the Saint-Tropez of Croatia. This town consists of cafés and discotheques and attracts party-goers from all over the world. However, the village has preserved an authentic side. Everything you want is possible here. Come and celebrate from morning to night or take the opportunity to visit one of the many islands and villages. It is also possible to rent a Vespa and thus explore the island. 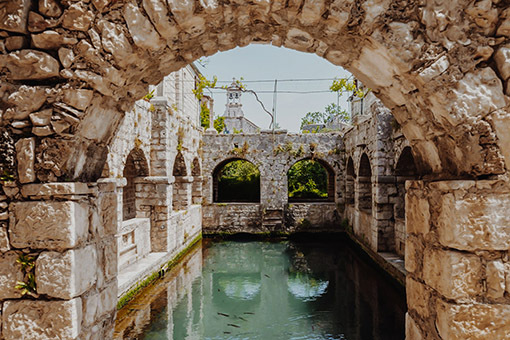 Stari Grad, UNESCO World Heritage, is considered the oldest town in the country. It is at least 2,400 years old, it awaits you with its old pedestrian streets, its buildings that are hundreds of years old and many small shops. 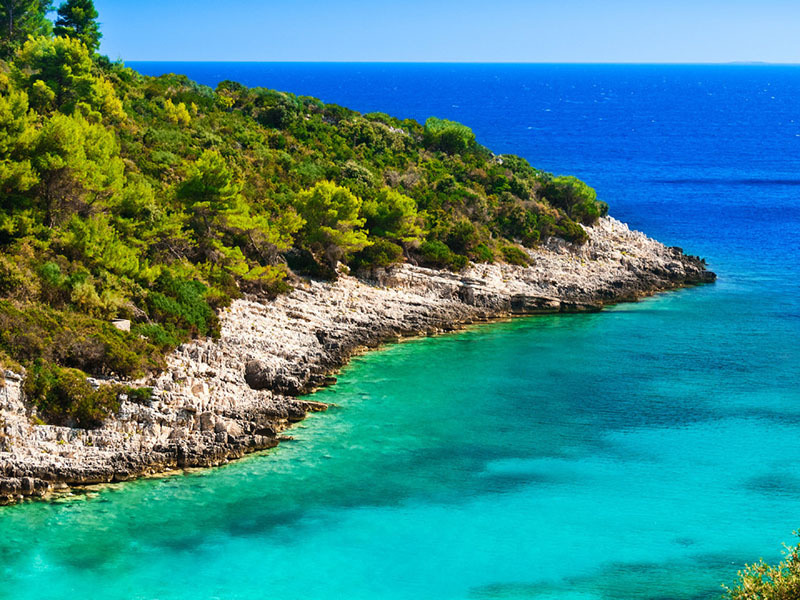 In contrast to Hvar, peace and tranquillity can be found here. Our favourite The courtyard of Tvrdalj Castle. A real oasis of peace and former residence of one of the most famous poets in the country. 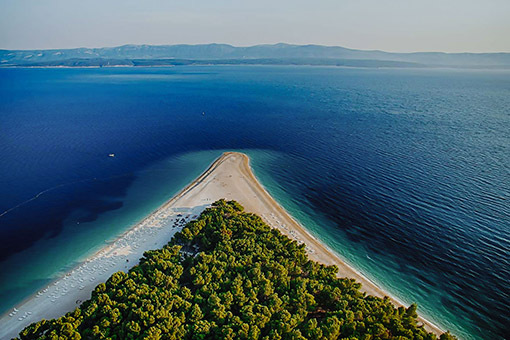 The 6th day of sailing, on the way to the most symbolic beach in Croatia, the golden coast of Bol, Zlatni Rat. 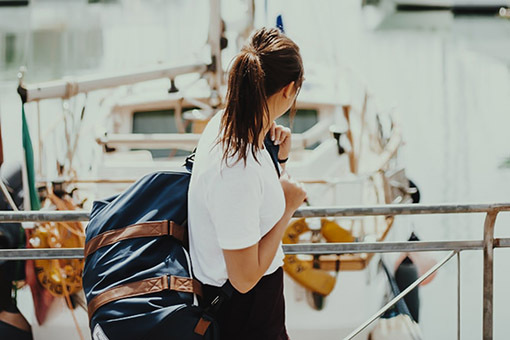 Get ready to sail and leave for a day full of activities and exploration. 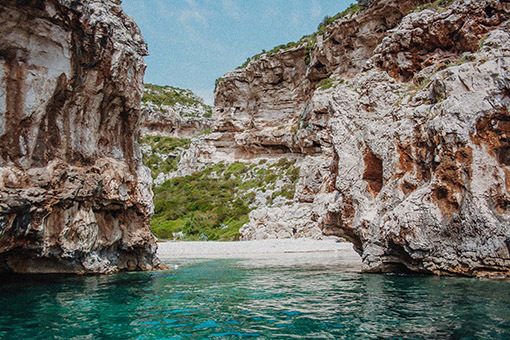 The coast of Bol is known for its numerous water sport activities, but also for its beautiful nature walks. Built in indigenous stones, aimed toward the sun and the environment, protected from gusts of wind, Milna is a paradise for sailors. 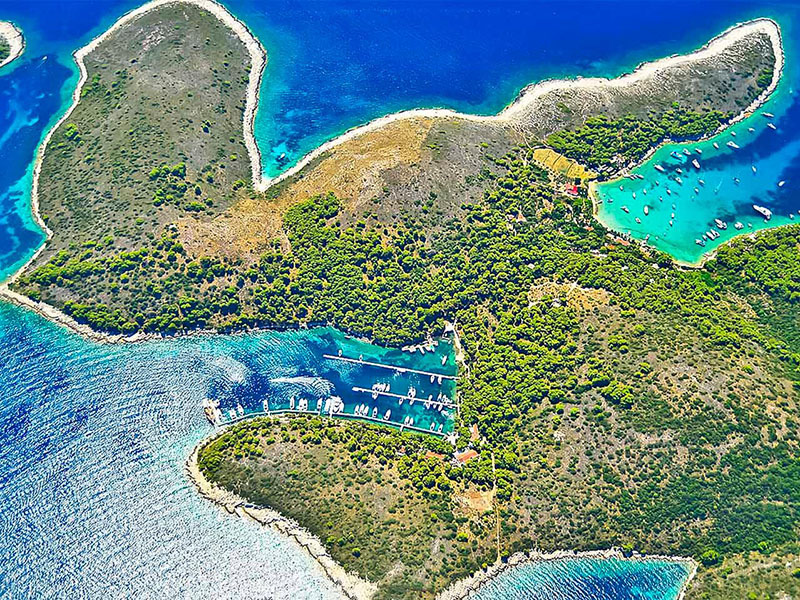 This small oasis in the Mediterranean Sea, southwest of the island of Brač, is spared from the stress of modern life. This place is rich in maritime history, fishing and viticulture that has always been praised by sailors, fishermen and farmers. Sights and activities. 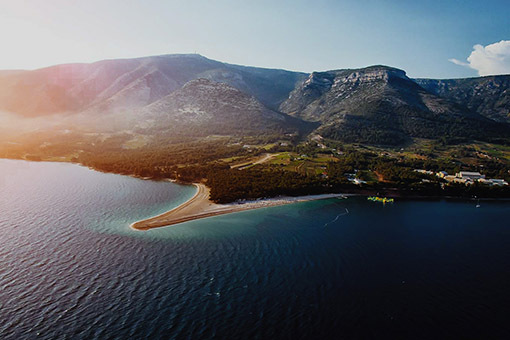 Uvala Smrka Bay and its former military hiding place from the Second World War. Sights and activities. 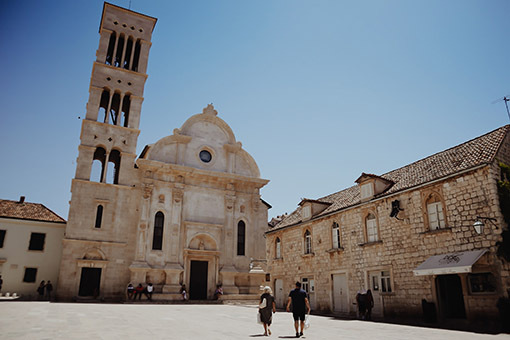 Stroll through the streets of Trogir if you did not have the chance on the day of arrival. From 29 June to 6 July 2019. 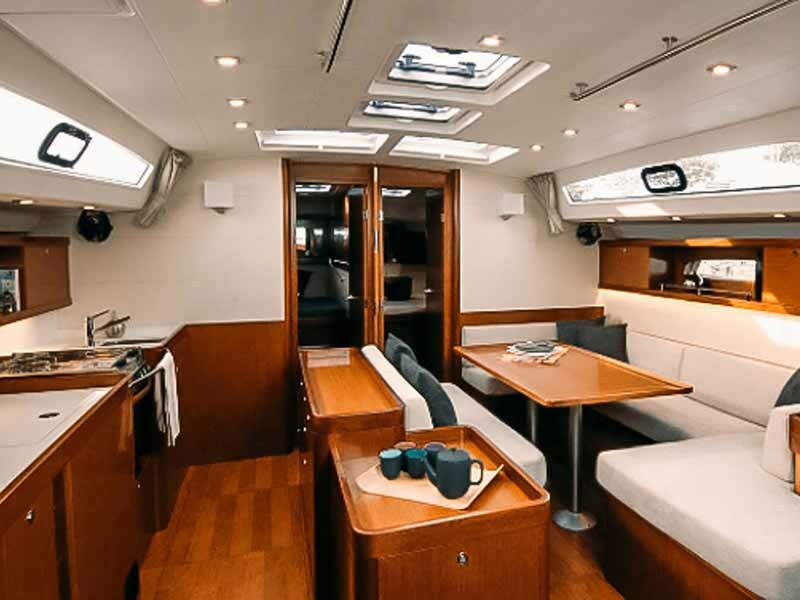 You board the sailboat on Saturday evening and spend the first night at the marina. The return to the marina is scheduled for Saturday, 6 July around 09:00 AM. The marina where the adventure starts is called Marina Baotic. 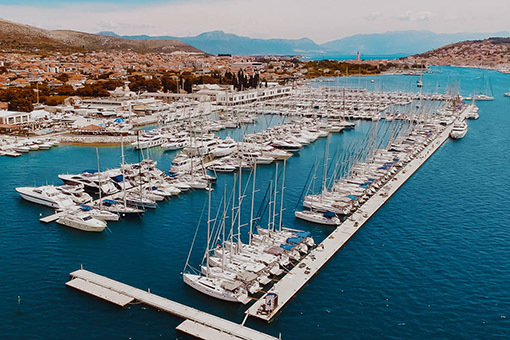 The fastest and easiest way to get to the marina is by taking a direct flight from Belgium to Zadar or Split airport. We take care of you from your arrival at the airport, the shuttle is included in the price. Just follow the "The Sail Trip" signs. The price for a stay of one week is €690 per person. International transport to Split or Zadar. 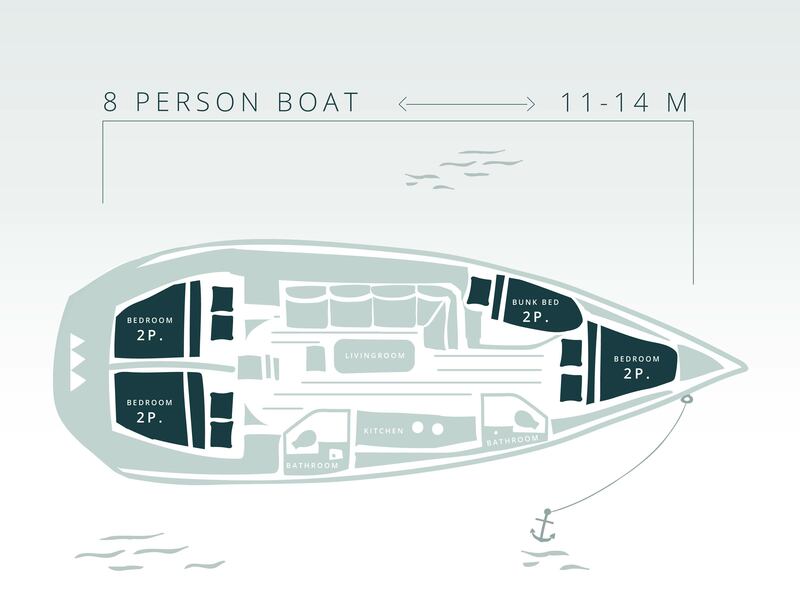 Consider €100 extra per person for the costs associated with the boat, which are not included. 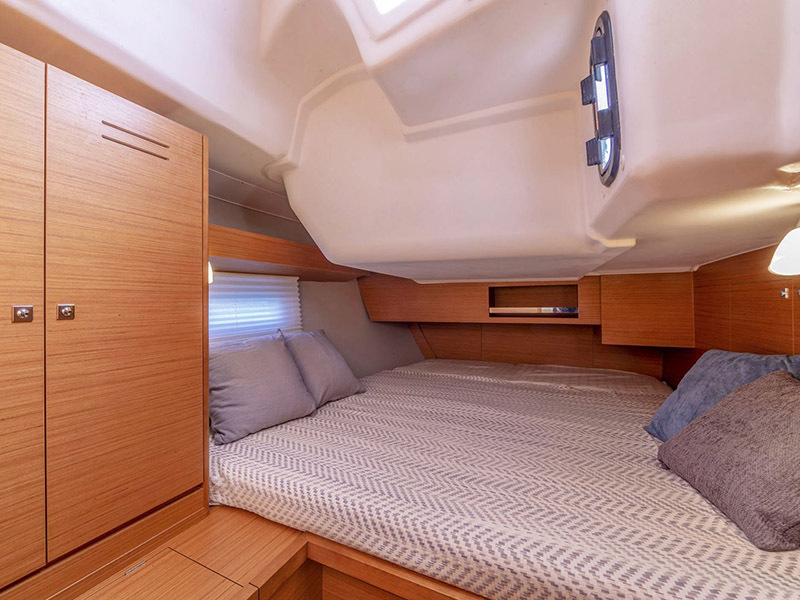 These costs vary depending on whether you are sleeping in a marina or at anchor in the bays. Who is my skipper and where will they sleep? 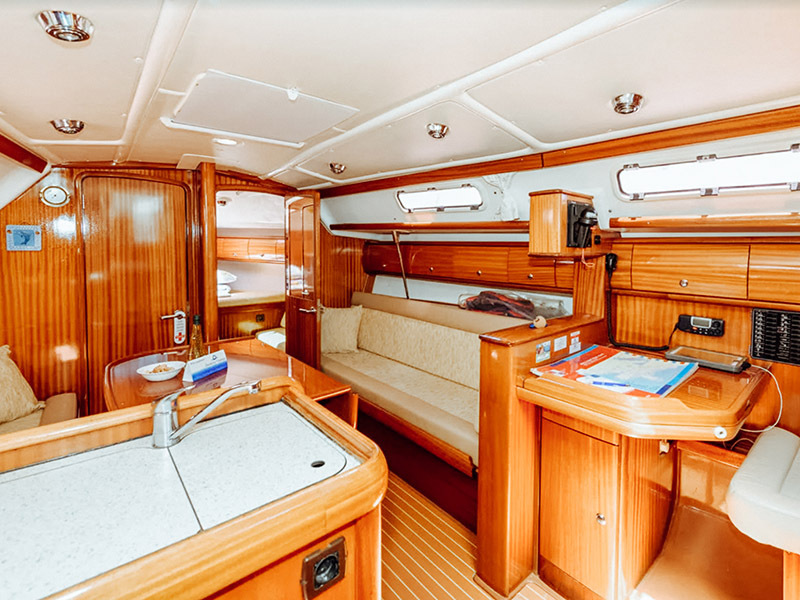 Your skipper is a person between 20 and 35 years old with a sailing certificate, who knows the waters very well. They will be on board to sail and guide you. 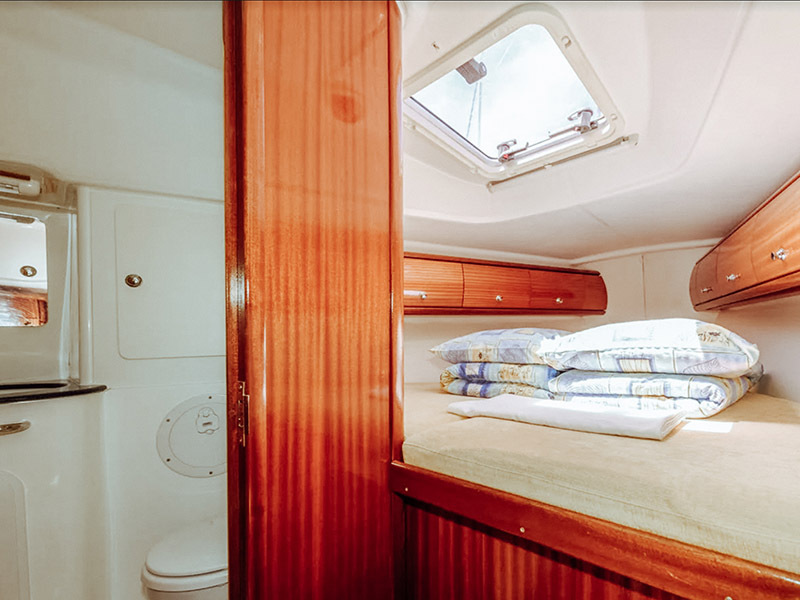 The skipper sleeps in the common room or on the deck when the weather permits. They also transport you to the islands with a Zodiac if your ship remains at anchor in the bay. Which license do I need to sail without skipper? 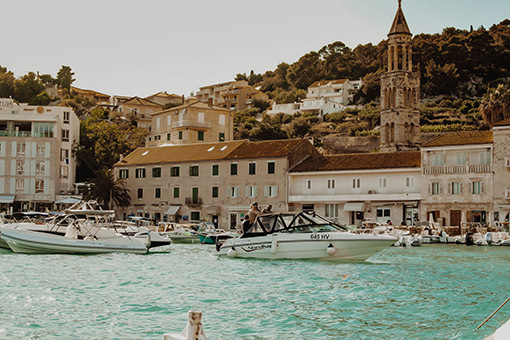 To Sail without captain and take responsibility on board yourself, the Croatian law obliges you to obtain one of the following. In Belgium the license numbers you need are 41, 42 and 43. What's the price without a captain? 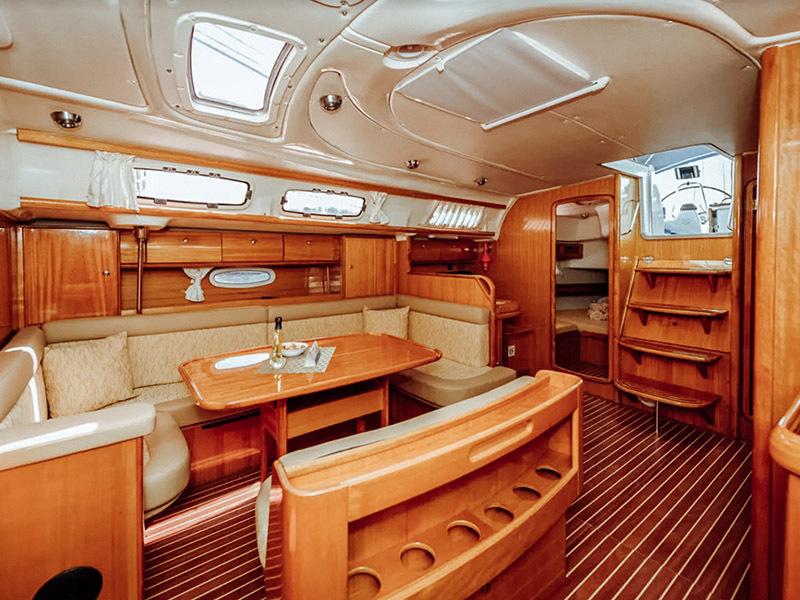 The price per person is €630 when you sail without captain. You organise your days as you wish. We advise you a route, but you are free to follow it or not. Your captain will follow your wishes, you can experience your holiday however you want. 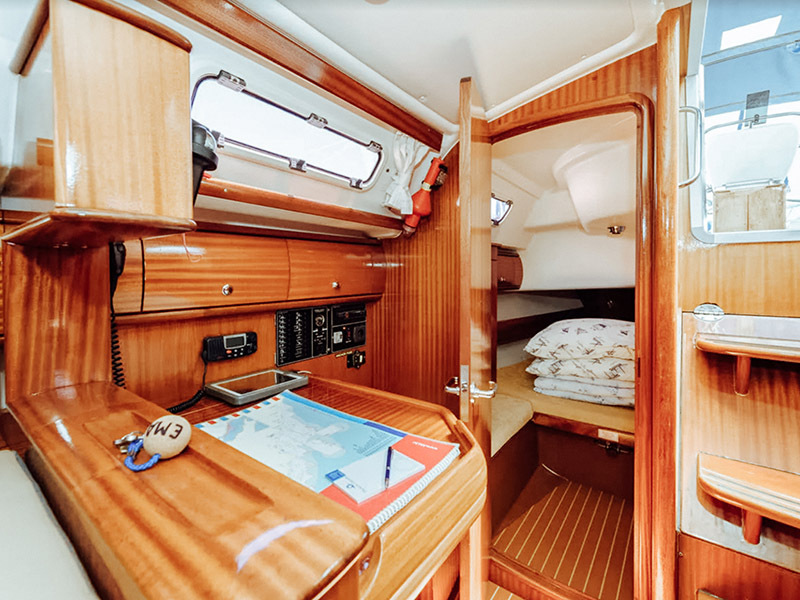 The captain only sails during the day and has to take the weather into account, apart from that you can follow the route you want. Who organises The Sail Trip? 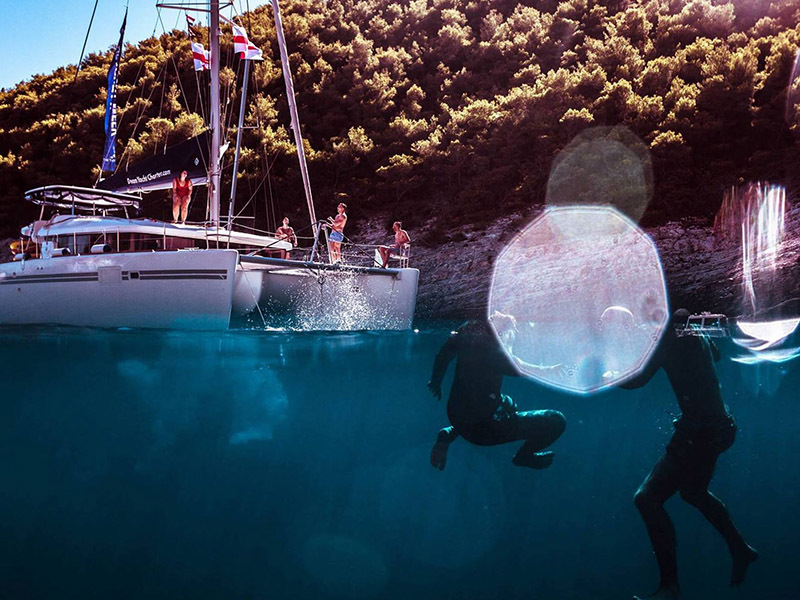 The Sail Trip is organised by Travelbase, a travel organisation that organises active conceptual trips since 2010 and takes more than 20,000 adventurers to some of the most beautiful places in the world every year. In addition to The Sail Trip, we also organise canoe trips in Sweden, Vespa Tours in Italy, trips to Lapland and ski trips.  All our concepts are available here.